Three centres – Longsight’s Tabberner House, the Leaf Centre in Miles Platting and Chapman Place in Gorton – have already shut. Services in the three sites ended shortly before Christmas, with users relocated into the Heathfield Centre in Newton Heath. Now, families fear the closure of yet more centres, including the Northfield Centre in New Moston. Frustrated carers and users are demanding answers from the council over the future of the centres in meetings with officials, but have so far only been told that no decision has yet been made. Formal proposals regarding the city’s seven remaining centres, and a consultation with users of the service, are expected in the near future. It is understood that the council argues that many centres are underutilised and is considering consolidating service provision into fewer buildings. Over 400 people across the city use the service, which provide activities and support at seven centres across the city for people to live independently. The centres cater for adults with varying levels of disability and the elderly, offering services such as speech therapy, physiotherapy and occupational therapy. They also offer access to activities including college courses, arts and crafts, day trips, hydrotherapy and a memories group according to Manchester Learning Disability Partnership [MDLP]’s website. Carer and Friends of Northfield chair Robert Churchill said yet more closures would have a “devastating” impact and leave many “like a prisoner in their own home” if closures occur. 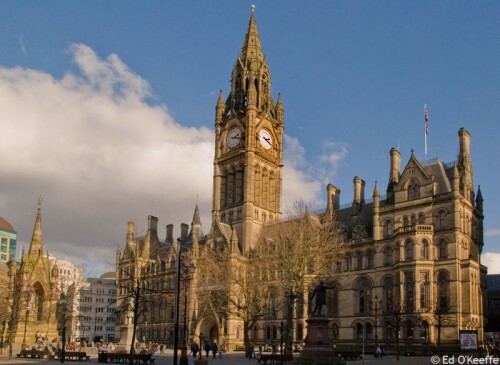 No official decision has yet been made and the council is considering proposals in light of its latest round of £80m cuts over the next two years as a result of the government’s local funding settlement. Executive Member for Adults, Health and Wellbeing Councillor Glynn Evans said, “We will be taking very difficult decisions as a result of a challenging financial settlement. The council says closure of the three centres before Christmas was due to the buildings being in a poor state compared to Heathfield, which is undergoing refurbishment. In July 2010 each day centre included in a survey conducted by MDLP reported registration numbers over and above the available funded places. Fears have been raised that moving yet more users into centres such as Heathfield from sites such as Northfield could have harmful effects. The council states that the number of users has reduced by half in recent years, shrinking from 873 in 2009/10 to just 450 in 2012/13. Some centres have closed in intervening years, however. The introduction of “individual budgets”, where people receive money to purchase care themselves rather than automatically receiving public services, has also led to fewer people using the centres as they purchase care elsewhere. Paul, another carer whose relative is a service user, echoed concerns that the danger of abuse could be increased if centres were closed. For Paul the centres were “a safety net” from abuse, especially as parents and grew older and less able to take on caring responsibilities. The potential closures come as the council rolls out its “redefined social care offer” to adults with learning disabilities in a bid to save £3.5m. The council’s revised care offer aims to reduce spending increases on targeted services, promote “self care and independence” and promote “the coordination of family, community, voluntary and commercial resources” in care commissioning. Some carers have raised concerns that the council’s own reassessments of care needs are reducing the entitlement of many people to care at the centres from five or three days a week to just one. Paul said that “people are scared of having an assessment, which shouldn’t be the case. Assessments should be based on their needs, not for what the council want it to be.” Crucial among these needs he said was “social interaction”, arguing that the centres were vital for helping vulnerable people avoid isolation. The council says that each person is assessed according to their individual care needs. Paul added that the changes come at a time when people with disabilities and their families face cuts from all sides.